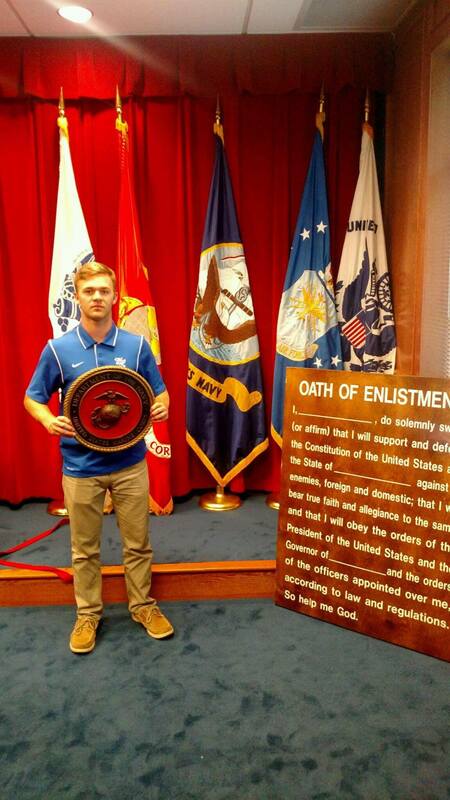 White House senior tailback Landon Deming took his oath to join the United States Marine Corps last Tuesday and will join/enlist officially after his 2018 graduation. 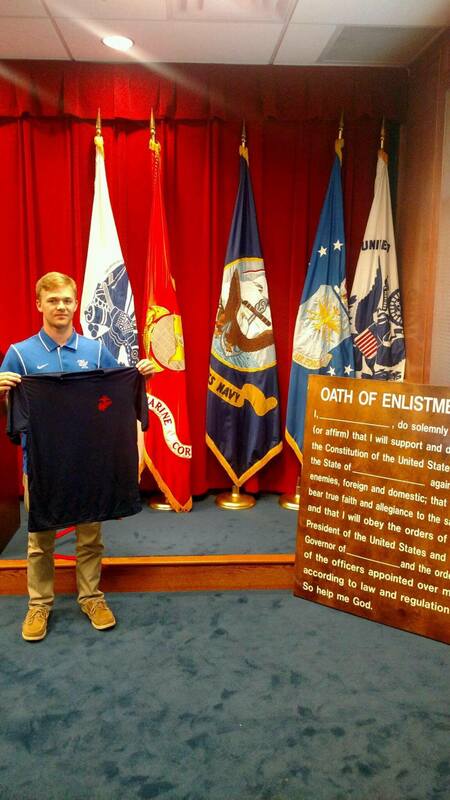 Landon joins fellow senior Ezra Bates on the football team with this plan after leaving WHHS. 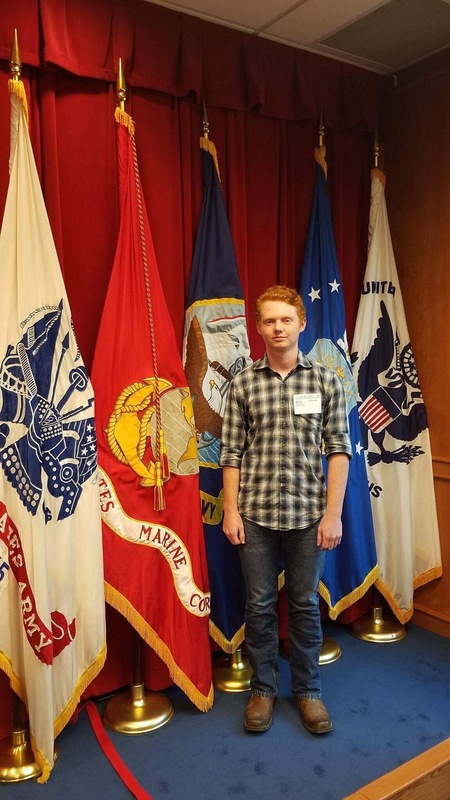 At the age of 10, Landon watched a movie and made his decision to follow his dreams into the United States Marine Corps. White House football will honor its senior class on Friday along with Landon and Ezra. We hope you will make plans to be in the stands for the National Anthem approximately 7:05 p.m. following by senior introductions at 7:15 p.m.
← Senior Night – A Letter from Coach Porter to our fans – read and share!